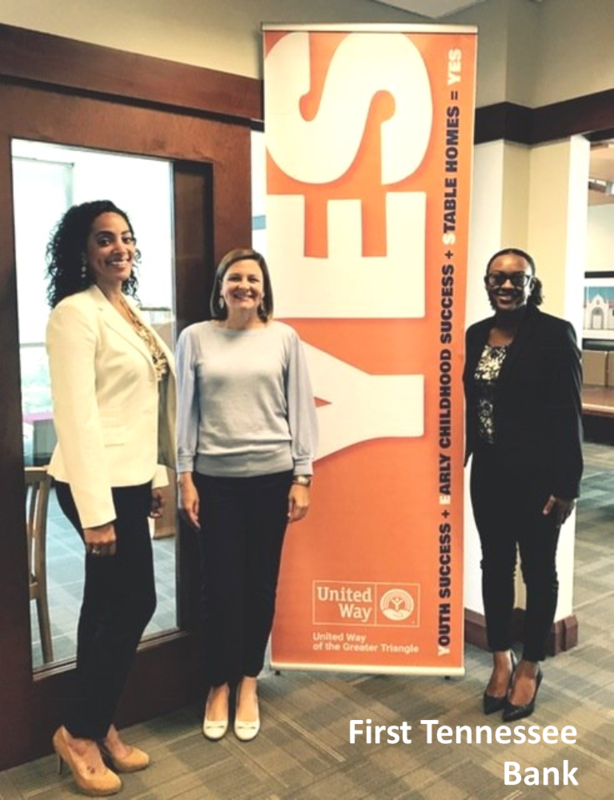 This month Uniting for Good features how individuals and nonprofits are saying YES to make a difference right here in our community. Campaign season is in full swing. Read on, to learn more and help us get to YES. 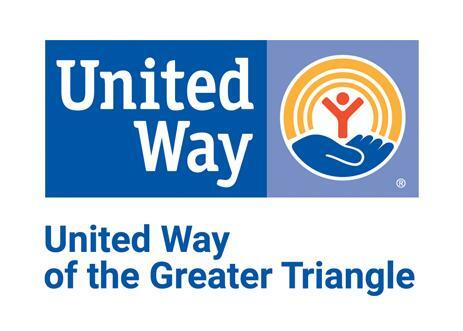 In the few short months since I had the privilege to join United Way of the Greater Triangle as CEO, I have been awed and humbled by the way our community mobilizes its caring capacities to help improve lives across Orange, Johnston, Wake, and Durham counties. 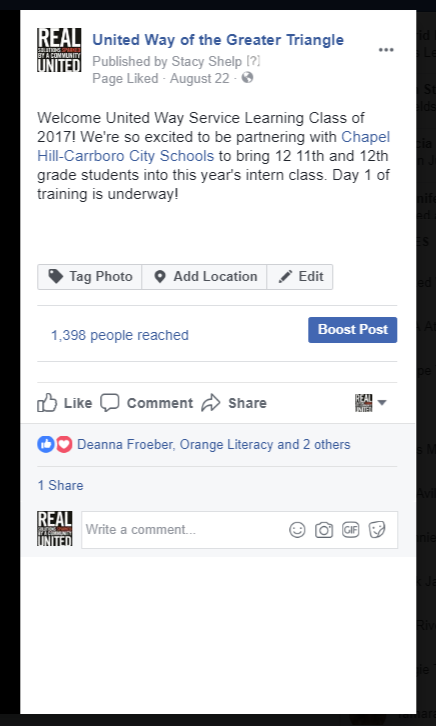 This time each year, we work with businesses and agencies to activate more than 30,000 individuals across the Triangle to become part of a larger movement helping our community’s most vulnerable children and their families get to YES—Youth Success, Early Childhood Success, and Stable Homes. Because of the incredible generosity of our community, mothers like Jalisa are able to move from homelessness to a place of well-being and stability. When Jalisa started working with our More Than a Roof Collaborative, she had recently made the difficult decision to send her sons to live with relatives. By working with a transition specialist at More Than a Roof, she was able to attend weekly life skills classes, obtain stable housing, find a stable job, and attend online school part-time. She now has a home and her sons are with her. Our work doesn’t stop with families like Jalisa’s, though. With more than 200,000 people living under the poverty line in the Triangle, United Way is helping to ensure every child and every family has equal access to a good life and an opportunity to thrive. Our commitment to a family-centered, collaborative approach gives children and their families the tools they need to level the playing field today and for generations to come. Will you help us improve the lives of Triangle area children and their families? By making an investment of your time, talents, and treasure, I believe that together we will live up to the promise of a better life for all. Together we are helping make this the most vital, caring community it can be. Together we are helping all of our families get to YES! Share how you are helping United Way get to YES by following and tagging us on social media. You can find us on Facebook, Twitter, and Instagram @UWTriangle and use #getting2YES. Do you want to make immediate, meaningful impact for families throughout the Triangle? If your answer is yes, hold a Flash Drive for your Day of Caring! From September 18th - October 20th, we are encouraging companies and communities to come together to collect specific items to fill immediate needs for nonprofit agencies and the families they serve. What is a Flash Drive? Flash Drives are supply drives that take no longer than 5 days. Click here to get all of the information and tools you need to run your Flash Drive and watch our social media for weekly suggestions of items to collect. If you would like to run a Flash Drive, please contact Natasha Wayne to get set up and coordinate your donation. Jimmy Doolittle said “There is nothing stronger than the heart of a volunteer”. At United Way of the Greater Triangle, we know this to be true. We rely on volunteers for guidance, governance, and support to move our work forward. At this time of year, we rely heavily on a special set of volunteers – Campaign Leaders. These volunteers are the heart of our Campaign, joining forces with our staff to activate their colleagues, peers, and company leadership to give and mobilize for the families and children in the Triangle. 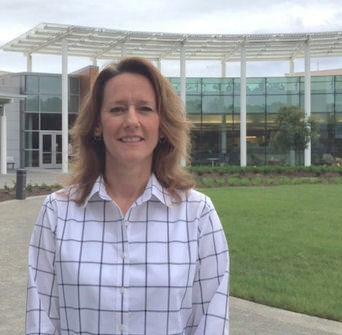 Sabrina began working with United Way of the Greater Triangle five years ago as part of Syngenta’s Campaign team. The reason she gave for getting involved was simple. “I believe in their motto ‘Live United’. I believe in ‘paying it forward’ and the United Way campaign allows endless opportunities to do just that." As a Campaign Leader, Sabrina’s role is to motivate not only her colleagues and peers around United Way’s work but also her Campaign Planning Team. To make the role her own, Sabrina says her approach has first and foremost been to share [her] genuine enthusiasm for United Way with her campaign team and colleagues because she believes in the power of uniting talents and resources to make a positive impact in our community. In working with her Planning Team, Sabrina’s approach “has been to appreciate and empower each volunteer to contribute to the success of our campaign, whether they’re returning volunteers or first-time team members…so that everyone sees how they contribute to the outcome of our campaign and has FUN while doing it." Sabrina hopes that these two things, “combined with a generous dose of persistence," will contribute to the sustainability of Syngenta’s United Way campaign for years to come. We thank you, Sabrina, for partnering with us as a Campaign Leader this year so that, together, we can impact the lives of children and families today and for generations to come. 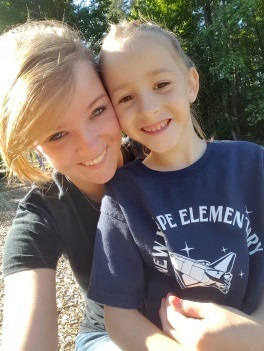 My name is Jennifer, and my daughter Keira and I are a part of the Family Success Alliance (FSA). Keira joined FSA the summer before entering Kindergarten. FSA has offered a wonderful opportunity for additional growth between school years. Each year she has attended the summer camp funded by FSA, and it has helped her grow in every category, especially reading. My daughter went from being below grade reading level to almost exceeding grade reading level in just two years. She has also grown to love math and science thanks to the FSA program. Throughout the year they have activities for the families of FSA children to gather and learn more about things like financial literacy and parenting skills. Each family is assigned a navigator who works with us to identify our specific needs and goals. Once the goals are set by the parents/guardian and the FSA navigator, we work together to connect with resources so we can meet or exceed the goals we have set for our family. This year my daughter will be in the YMCA Afterschool program ‘Y Learning’ sponsored by the FSA program, and we look forward to this new adventure and seeing Keira prosper . The Family Success Alliance is Orange County's zone based approach to fighting poverty. The partner agencies provide services in two pilot geographic zones with the common goals that 1) children are healthy and prepared for school, 2) children and youth are healthy and succeed in school, 3) youth graduate from high school and college 4) families and neighborhoods support the healthy development of children. 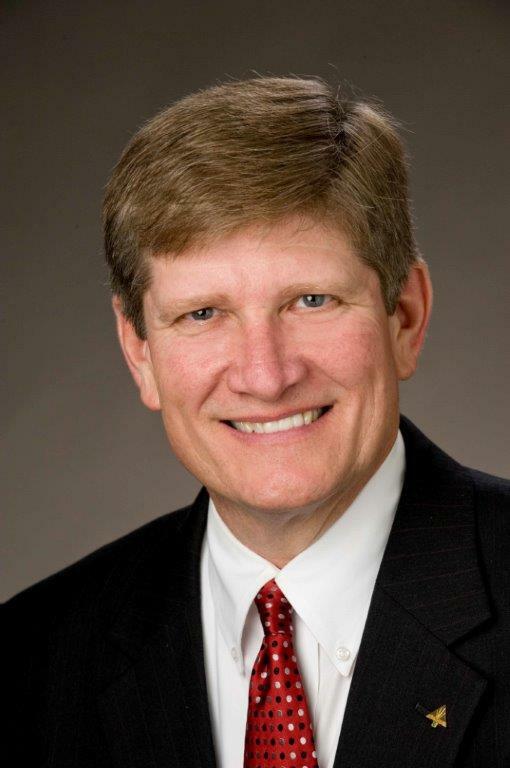 Click here to read FSA's Impact Report to the community. Our collaborative partners are truly making a difference in the lives of children and their families. To hear about their work, right from them, click on the name of the collaborative below to watch a short, Inspirational video. Sara: How long have you given to United Way? Sara: There are so many places you could choose to give, why United Way? 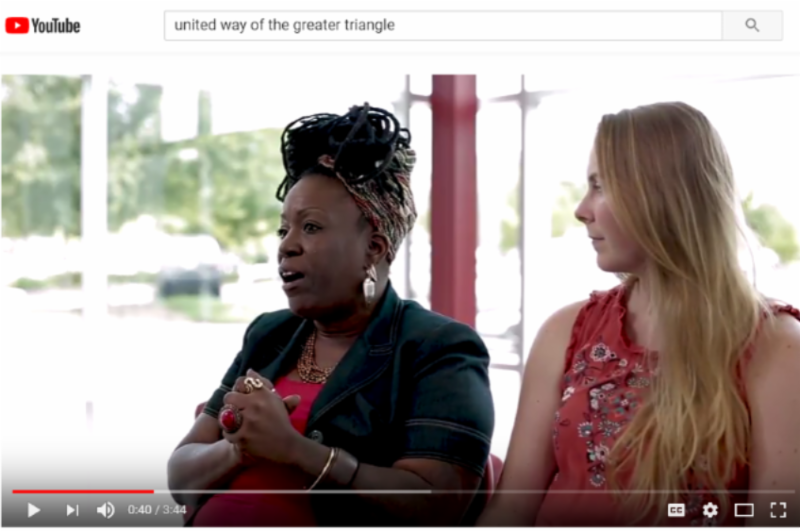 Bill: "You're right, there are a number of great causes to support, but the main reason I give to United Way every year is the confidence I have in you to fairly distribute funds in such a manner to maximize the community impact and improve the quality of life for so many Triangle families. Sara: What would you want others who are considering giving to United Way to know? 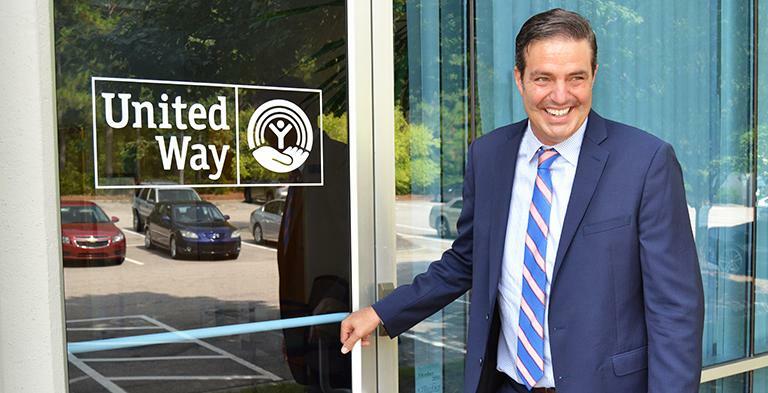 Bill: "The dollars they commit to United Way will be invested wisely to the betterment of our community, while helping so many deserving families in need." 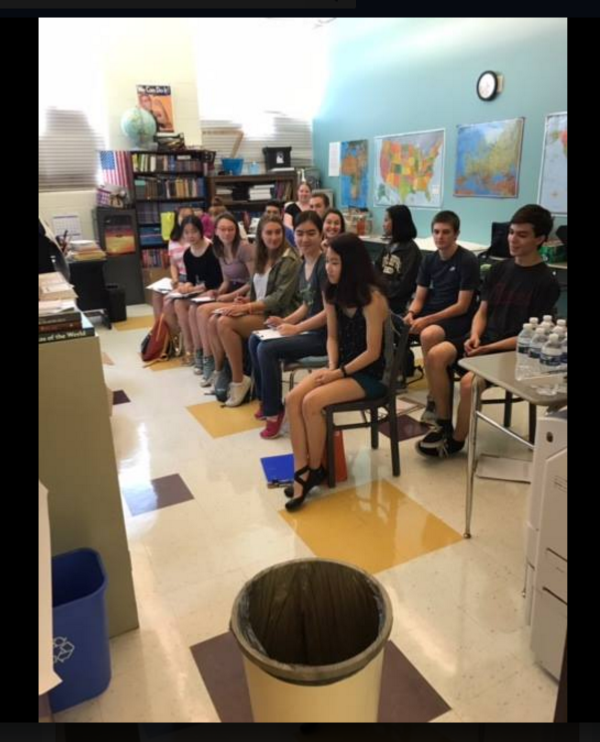 Public Speaking we need you. Please volunteer as a mentor for students from NC Central University, William Peace University, St. Augustine's University, Meredith College, and Wake Tech who will be participating in Idea Generation Next: College Edition. This Fall Semester we are launching our second annual Idea Generation Next: College Edition pitch competition. This innovation challenge is designed to highlight college entrepreneurs who are committed to addressing the social issues facing our communities. This series of events will help students build the skills and networks to bring their ideas forward. Filled with inspiration (and a touch of competition) to promote ideas of college-age women and people of color who are currently underrepresented in the entrepreneurial community. IGN includes: On-campus preliminary pitches, an accelerator series of workshops for one-on-one coaching, and a final presentation to a panel of judges. Click the link below for more details about IGN. ﻿ Contact Toan To to learn more about volunteering as an IGN mentor. 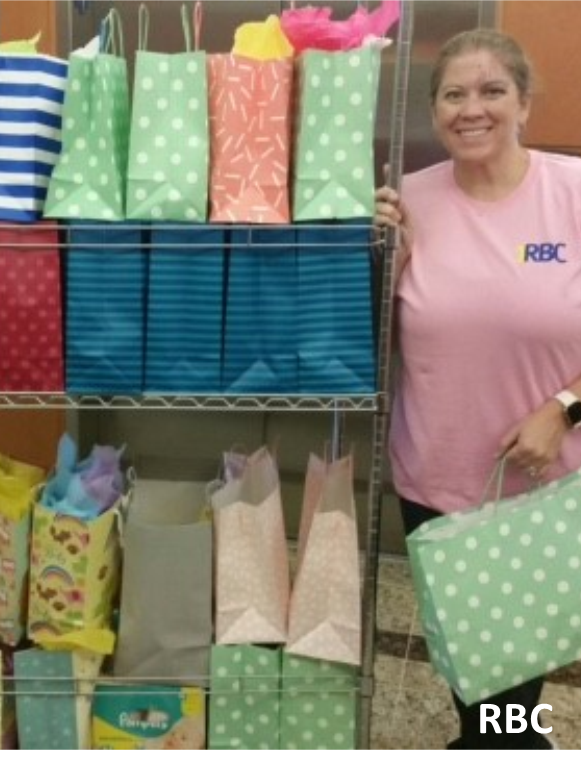 Can you help struggling families in the Triangle? But YES is more than an answer. YES is our campaign focus but more importantly, it is the foundation that will help families become self-sufficient and thrive. Our family centered approach provides these supports and resources for both children and their families to meet their needs today and give them the tools to succeed in the future. By working with nonprofits, area businesses, community and government leaders, we are improving lives across the Triangle. Be part of this change - volunteer or donate - to help families in need get to "YES".